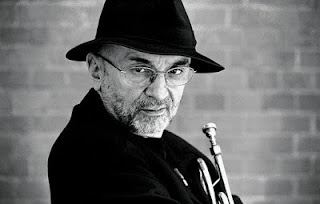 Trumpeter Tomasz Stańko, the great stylist and one of the founding fathers of Polish (and European) free jazz, passed away in Warsaw last Sunday after suffering from cancer and a pneumonia. The then 20-year-old Stańko appeared on the Polish scene in Krakow in 1962 with his band Jazz Darings, allegedly the first group to play free in Poland at that time. His rough, full, dark and ripe tone had already given him a good reputation, his sound was said to be hot and cool at the same time, which is why he was invited to the fifth “Jazz Jamboree“ festival. There he met pianist Krzysztof Komeda, who hired him on the spot for his gig on the festival the following day. In January 1965 he was part of Andrzej Trzaskowski’s quintet that recorded Polish Jazz Vol. 4, the official booster detonation for free jazz in Poland. However, apart from Miles Davis, Chet Baker and Don Cherry, Komeda, one of the most famous Polish jazz musicians at that time, was to become Stańko’s main influence and supporter. With Komeda's quintet, he recorded the 1966 classic Astigmatic, an album which foreshadowed Stańko’s later music using melodic motives and formal structures as a basis for long improvisations. When Komeda went to Hollywood with director Roman Polanski, Stańko followed him and they recorded the famous soundtracks for Rosemary’s Baby and The Fearless Vampire Killers. After Komeda’s tragic death in 1969, Stańko developed his own style, based on melodies but still free when it comes to harmony and rhythm. He released his first album as a bandleader in 1970 and called it “Music for K.“, a homage to his friend Komeda. The music seems to float but is very down-to-earth at the same time. In 1976 he started his collaboration with Manfred Eicher’s ECM label and released Balladyna featuring Tomasz Szukalski on tenor sax, Dave Holland on bass and Edward Vesala on drums, an album presenting everything which is so great about Stańko’s music in a nutshell. Also, ECM albums worth mentioning were Matka Joanna and Leosia, with Bobo Stenson (piano), Anders Jormin (bass) and Tony Oxley (drums) since they tried to combine Stańko’s and Stenson’s tender tone with Oxley’s free play. The fruitful collaboration with ECM has lasted until today, the last release was December Avenue (2017), his New York quartet consisting of David Virelles (piano), Reuben Rogers (bass) and Gerald Cleaver (drums). Once again the album proves why Stańko was such an great musician: he was interested in new experiences until the end, his music has always been explorative. Ekkehard Jost said that Stańko was one of the few exceptions who was never interested in popular trends and whose music still conveys the atmosphere of departure of early 1960s Polish free jazz. I’ve always liked Tomasz Stańko for his contribution to large ensembles. He was part of Alexander von Schlippenbach’s Globe Unity Orchestra and Cecil Taylor’s Orchestra of Two Continents and his European Orchestra. In all these ensembles full of alpha dogs, his distinguishable voice stood out. Before he was diagnosed with terminal cancer and had to cancel his gigs earlier this year he was looking forward to touring in a new quintet with his soul mate, trumpeter Enrico Rava, pianist Giovanni Guidi, Reuben Rogers and Gerald Cleaver. His death is a major loss for the jazz community. The writers from the Free Jazz Collective will present a tribute to Tomasz Stańko with a personal and selective review of his discography this coming weekend. Thanks Martin for the fast and thoughtful obituary. I have always been a fan of Stańko even if stylistically he is a little outside of my normal musical taste, but he always kept surprising despite his recognisable style. Nothing like Stańko on a dark and rainey winter evening. Sad music for a sad moment. He will long be remembered and cherished. Another loss for the Jazz community has happened already more than a month ago. Tomasz Stańko's death was reported in the main news bulletins on BBC Radio 4 (one of their very rare mentions of a jazz musician). Being Stańko fan in Stef sort of mode for all my jazz life, I can recommend his less renowned yet perhaps most exciting earlier recordings: Balladyna, Bluish, Almost Green, Twet and Bosonossa And Other Ballads. As to later ECM albums you might check for Leosia, Litania featuring a couple of Rosemary's Baby theme versions as well as other Komeda's compositions and also From the Green Hill with Dino Saluzzi's characteristic feel. The 2000s recordings, less adventurous I'd say, are more typical fare for ECM followers - the further the more so - anyway great WinterFall music. But for 30+ Centigrade play younger Stańko, full of passion and imagination.